A brave, intimate, beautifully crafted memoir by a survivor of the tsunami that struck the Sri Lankan coast in 2004 and took her entire family. She has written an engrossing, unsentimental, beautifully poised account: as she struggles through the first months following the tragedy, furiously clenched against a reality that she cannot face and cannot deny; and then, over the ensuing years, as she emerges reluctantly, slowly allowing her memory to take her back through the rich and joyous life she's mourning, from her family's home in London, to the birth of her children, to the year she met her English husband at Cambridge, to her childhood in Colombo; all the while learning the difficult balance between the almost unbearable reminders of her loss and the need to keep her family, somehow, still alive within her. Someone had removed the brass plate with my father's name on it from the gray front wall. It had his name etched in black italics. I sat in the passenger seat of my friend Mary-Anne's car, my eyes clinging to the holes in the wall where that brass plate was once nailed. This had been my parents' home in Colombo for some thirty- five years, and my childhood home. For my sons it was their home in Sri Lanka. They were giddy with excitement when we visited every summer and Christmas. Vik took his first steps here, and Malli, when younger, called the house "Sri Lanka." And in our last year, 2004, when Steve and I had sabbaticals from our jobs and the four of us spent nine months in Colombo until September, this house was the hub of our children's lives. The experience of reading tumultuous and beautiful Wave is like the Zen proverb that advises, "Let go over a cliff, die completely, and then come back to life - after that you cannot be deceived." The book is both a memento mori and an elegy, a lasting monument to the lost. Read Wave and you will never forget Vik, Malli and Steve, or that love is indelible and loss is inevitable. (Reviewed by Jo Perry). So brave, so beautiful, in these pages Deraniyagala’s family is brilliantly alive. And so is she. Although for much of the book, we are privileged to be with her as she conjures and re-conjures her joyous family, what emerges from this wizardry most clearly is, of course, Deraniyagala herself--carrying within her present life another gorgeously remembered one. Unforgettable . . . It is a miracle Deraniyagala lived. The fact that she could write such a memoir, bringing those she loved to life so completely that they breathe on the page, is itself a miracle. The most exceptional book about grief I’ve ever read . . . I didn’t feel as if I was going to cry while reading Wave. I felt as if my heart might stop . . . an unforgettable book that isn’t only as unsparing as they come, but also defiantly flooded with light . . . Extraordinary. Heart-stopping . 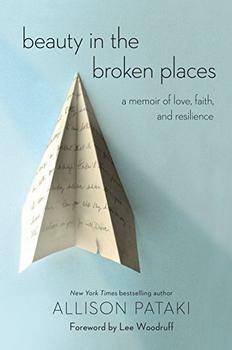 . . A stunning memoir of grief . . . Wave contains some of the best, most affecting writing about love and family that I have ever read . . . It is also wholly sui generis. I couldn’t recommend it more highly. We hold tight to every exquisite sentence as, with astounding candor and precision, she tracks subsequent waves of grief...But here, too, are sustaining tides of memories that enable her to vividly, even joyfully, portray her loved ones. Starred Review. Excellent. Reading Deraniyagala's account proves almost as cathartic as writing it must have been. Courageous, truthful and, above all, generous . . . What amazed me most about the book is what good company it is. Deraniyagala is accepting and tender in her record of grief . . . Wave is in fact full of persisting life. Wave is a haunting chronicle of love and horrifying loss. The heartfelt writing manages to render the absence of the loved ones—the void, and the pain of it—in such a beautiful way that what was lost emerges as a new life form, one whose flesh and sinew are memory, sorrow, and undying love. 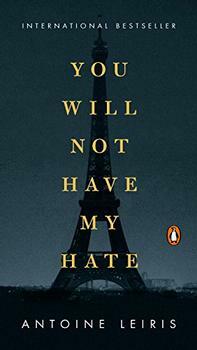 Out of unimaginable loss comes an unimaginably powerful book. Wave is unflinching as it charts the depths of grief, but it's also, miraculously, a beautifully detailed meditation on the essence of happiness. I came away from this stunning book with a new appreciation of life's daily gifts. I urge you to read Wave. You will not be the same person after you've finished. The most powerful and haunting book I have read in years... Sonali Deraniyagala has brought back to life in this stunning memoir all those she lost, so much so that we will never forget them or their lives. Wave is not a linear account of the tsunami, and because the author's stark focus is internal, the disaster and events in the months and years that followed, are often hazy. Because of this, it's worth taking a look at the magnitude and nature of the tsunami the author survived. A tsunami is a series of giant waves caused either by an earthquake or a volcanic eruption under the sea. Either of these phenomena leads to water displacement which in turn churns large quantities of water into massive waves. A tsunami is not just one wave but a series of walls of water minutes or even up to an hour apart.